No kidding, this is the rainiest spring I can remember in years. I don’t know that to be an absolute prove-able fact because none of the eight superintendents (they keep charts and graphs) I’ve called in the past 30 minutes answered their cell phones. My guess is, they couldn’t hear their cell phones over the pumps they were running to try to get their courses in playable for the weekend. I suppose I shouldn’t be complaining when half the South got flattened by tornadoes in the past few days. And, hey, the forecast for tomorrow (Saturday) looks good. I’ll believe it when I see it. Heck, at this point, I’d take Cloudy with a Chance of Meatballs. Even if I don’t have the actual rain stats at my fingertips, I know I am not imaging this. 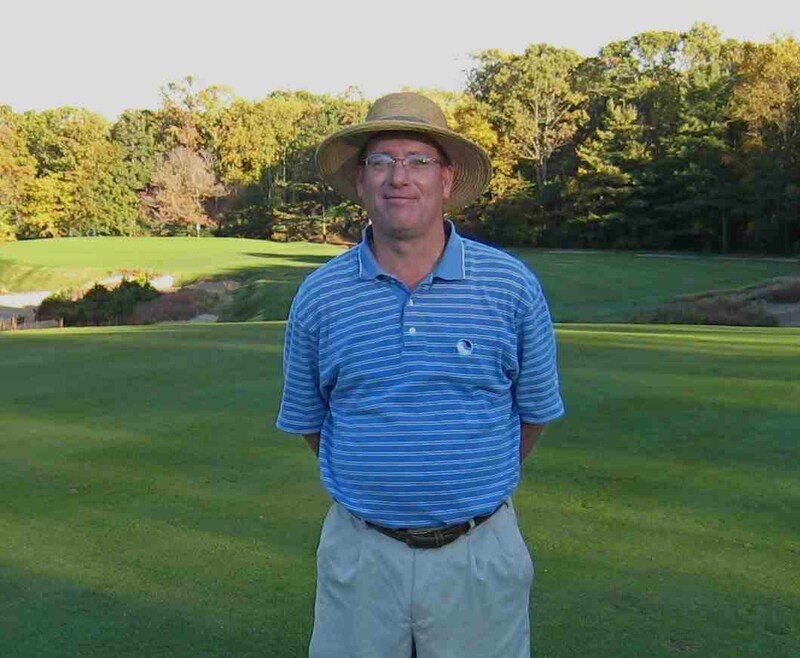 Last week I played a round at the GC at Glen Mills with the general manager, Paul Stuhlmiller. (Naturally, it was spritzing). At one point, I asked Paul if this spring had been as bad weather-wise as I thought. He winced like I had touched a nerve and said, "Yes, awful." Thing is, a tee time is a perishable commodity, like fruit or an airplane that takes off full of empty seats. Courses will never get that revenue back. Golf courses are used to getting iffy weather in March but not so much in mid- to late April. We are getting into the meat of their seasons. Of course, most golf course owners, managers and superintendents are as optimistic (na•ve?) as farmers. It doesn’t matter if rain or drought or a swarm of locusts killed last year’s crop, they are farmers to the bone and they are going to plant again next year. Me, I’ve got tee times Saturday and Sunday. Now that we are finally getting some decent golf weather, it seems like a good time to once again draw your attention to one of the most valuable assets this website has to offer – The Bausch Collection. The Bausch Collection, if you haven’t checked it out before, is a remarkable assemblage of photos of golf courses in the region, both public and private. 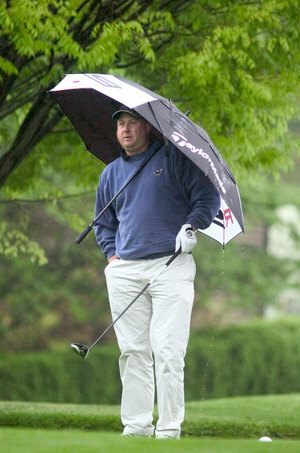 There is a link to The Bausch Collection on the green left rail of the MyPhillyGolf home page, under Photos. Want to check out a golf course before you make a tee time? Take a tour via The Bausch Collection. If it’s not there, it might be coming soon. The Bausch Collection isn’t the official name of the galleries. I dubbed the photos that a year ago, when the golf addict who shoots them, Villanova chemistry profession Joe Bausch, offered to left us house them on MyPhillyGolf. I jumped at the chance, recognizing a good thing when I see one. I wrote a blog introducing The Bausch Collection last September, when we had only uploaded a fraction of the courses Joe has photographed. Now, we’ve uploaded them all, except that Joe keeps adding to the collection. It is hard to believe that he shoots these photos with a small point-and-shoot camera, not some $4,000 single lens reflex number like a professional photographer would use. I’ve also played with Joe as he is shooting a course. He does it quickly and discreetly, without holding up the group. Anyway, if you haven’t looked over The Bausch Collection, I recommend you do so. And if you know of a course that would be a good addition to the collection, send me an email and I’ll pass it along to Joe. I have officially joined the R11 Nation. If you haven’t heard and seen all the fuss and commotion over the TaylorMade R11 driver, with its distinctive white head and adjustable settings, you’ve either been in a cave or on a six-month bender. The R11 is quite the talk on the PGA Tour and, therefore, a seriously hot item with amateurs who buy every advantage they can afford. If you follow this space with any regularity, you might also recall that last year, I plunked down some serious change for a new, fitted driver, a Titleist 909D Comp. It had a head on it about the size of a small pumpkin, plus all the bells and whistles of the golf technology at that moment. I liked it; I l still like it a lot, mainly because I could really hit it. We made beautiful music together. Then the TaylorMade R11 caught my eye. My pal at TaylorMade said he would send me one, if I would play it and write what I thought about it. I said I would, but that I would write what I really thought. 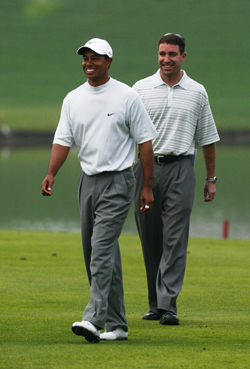 He said he and the boys in the lab at TaylorMade were willing to take that risk. He advised me to get myself fitted in Philadelphia and send him the specs. I knew right away who I would call: Just a few weeks earlier I had gotten a PR release noting that the Golf Galaxy in Devon had been picked by Golf Digest as one of the Top 100 fitting facilities in the country, thanks to their fitting guy, Leigh Taylor, a PGA Master Professional and Life Member. As it happens, I know Leigh. He fits and sells all makes and models of drivers and irons, and he takes this stuff as seriously as a heart surgeon takes a triple bypass. A few mornings later, I was in Leigh’s fitting bay. "I’ve never seen a driver sell like the R11," Leigh told me as I loosened up. "Never seen anything like it." Although Leigh has high praise for several manufacturers, he offered a particular nod to TaylorMade, which invented the metal-headed wood and, later, what he called MWT, or "moveable weight technology." For the weekend chop who doesn’t have the time, money or inclination for a series of lessons, he can fight a slice with MWT by shifting the weights in the toe and heel of the club. The R11 has gone one further -- two, really. Not only does it have 1-gram and 10-gram weights that can be moved from heel to toe, as needed, it has an adjustable shaft, enabling you to increase or decrease the loft of the clubface by as much as a full degree. Finally, it has a bumper plate on the bottom of the club that gives you another tool in the battle against hooks and slices: an adjustable clubface, with settings of open, neutral or closed. After an hour of hitting balls with a series of shafts with different flexes and kick points, Leigh printed out a long sheet that measured the results: club speed, ball speed, launch angle, ball spin, carry, deviation, even something called PTR, which stands for "power transfer ratio," tech-speak for was I catching it on the "sweet spot?" I have hit a low ball all my life, so the biggest puzzle for Leigh was the elusive combination of ball speed/launch angle/ball spin. Finally, he had it: A Fubuki (stiff) shaft, 10.5 degrees of loft, set ½ degree up, to 11 degrees; the heavier 10-gram weight in the heel, to fight my inclination to hit it right; and the bumper plate set to neutral. A week or so later, my new R11 arrived. I have now hit about a dozen buckets of balls and played four rounds with it. My assessment: I like it more each time out. In our maiden round together, I wasn’t sold. I couldn’t hit a fairway. Everything was going right because...well, because I occasionally battle a case of driver yips, and because sometimes golf hates me and mocks me and loves to see me suffer. I could not lay the blame for those terrible drives at the feet of the R11 or any other club. With each round since, as my confidence in my swing has returned, my driving has improved . I played on Friday and only missed one fairway. On the three or four tee shots when I truly connected, I strutted off the tee box hugging my new driver. The R11 felt as good as any driver I’ve ever hit. The adjustability is, of course, one of its biggest selling points of the R11. Now that I have it set to my liking, it is hard to know whether I will make further adjustments from time to time. I’m keeping my little TaylorMade wrench in the back of my car, just in case. 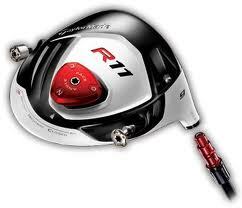 I’m enough of a traditionalist that initially, I wasn’t crazy about the R11’s white head. But it is growing on me, and I’m starting to find it oddly soothing, although I have no idea why. And one benefit I had not considered: the face of the R11 is a dull black that tends to show where on the club face you connected. If it feels like you caught one on the toe, the proof is in the mark on the face of the club. Bottom line: the R11 is staying in my bag.